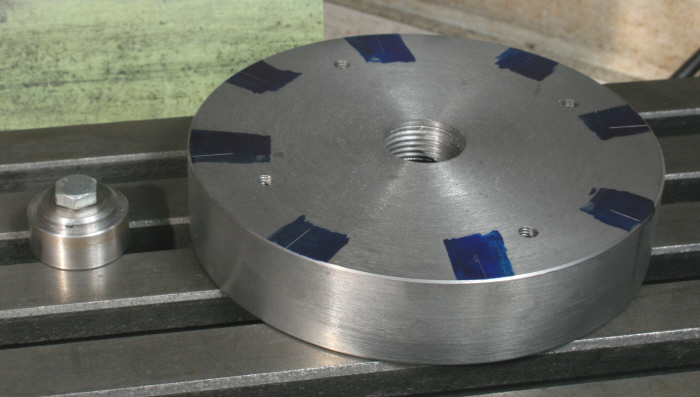 So that the body can be easily rotated for each individual slot turn a disk a close fit in the parallel bore in the rear of the body and fasten this to the milling machine table, left of Photograph 5. Next, take a length of rectangular bar, say around 300mm long and align one edge with two of the diagonally opposite markings, clamping this to the body using a small workpiece clamp and one of the M6 tapped holes. 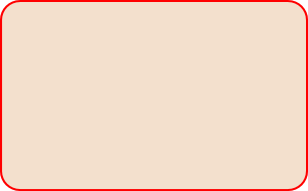 Place the body over the disk on the machine's table and line the bar up with the table's axis. 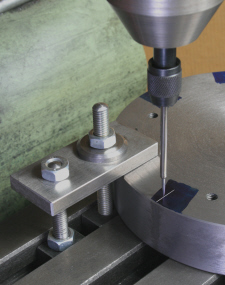 A high level of precision is not required so there is no need to use a DTI, using a surface gauge with its locating pins against the front edge of the table and checking both ends of the bar will be perfectly adequate. With that done clamp the body to the table in that position, Photograph 6, do though fit a second clamp as seen in later examples. Take one of your workpiece clamps or some other suitable item and clearly mark it with a line and pack this up on the machine table to the height of the body. Position this so that the line accurately lines up with one of the lines on the body, I would suggest the 4.30 position, Photograph 7. Set up a needle point centre finder and align this with the body marking in the 9.00 position, Photograph 8, ensuring this is done with the table moving towards the rear to take out the backlash in the correct direction. If you are not conversant with the needle point centre finder it is held at the top in a friction held ball joint and obviously when the mill is started up it is very unlikely that the point will run true. 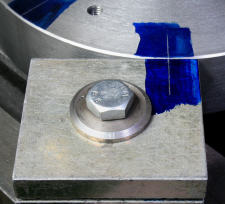 With the mill running a block of metal is held on the machine table and against the needle being advanced very gradually until the point appears stationary. With this done the point is perfectly in line with the machines spindle irrespective of the accuracy of the chuck holding the device. Of course, when the needle point is used to locate the workpiece the machine is not running. Having aligned the needle point with the 9.00 mark set the machines dial to zero and move the table 16mm to the rear and lock the table firmly in this position so that the setting is maintained until machining of all the T slots has been completed.